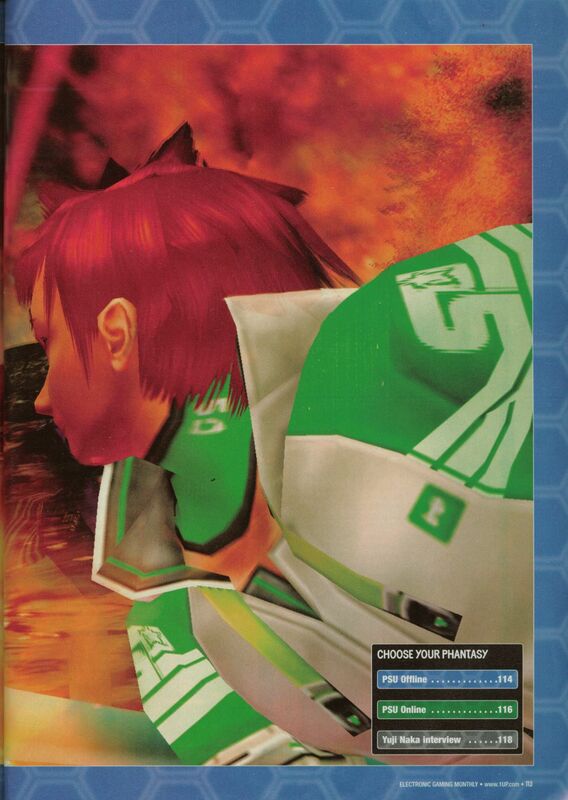 The second page of the Electronic Gaming Monthly 191 preview of Phantasy Star Universe is extremely simple. It is the continuation of a double page slash background screen shot that depicts Ether Waber fighting one of the game's various monsters. The monster was on the first page, while this one is entirely Waber himself. A small table of contents for sections of the preview article is also included.